We live in the Pacific Northwest. At the moment, the air is hazy with smoke from a 2,000 acre wildfire less less than 50 miles from our town. We are told that the fire has not grown much, and there is no word of any evacuation at this time. Things are under control and we are at no risk of burning to a crisp. But all this smoke and talk of wildfires got me thinking about Firewatch, the indie game from Campo Santo. Due out later this year, Firewatch is a first person mystery game that takes place in the Wyoming wilderness. Firewatch may be the first game from Campo Santo, but the team is far from inexperienced. Made up of devs whose previous credits include Bioshock II, Brutal Legend, The Walking Dead and Mark of the Ninja Campo Santo has a great deal of talent working in their favor. From the brief glimpses of gameplay we've seen, that talent has been well utilized. The story of Firewatch is quite simple; you play a character who came to the Wyoming wilderness to work at a watch post and escape a collapsing marriage and. As you explore the forest and mountains around you (working to unravel the as yet undisclosed mystery you maintain contact with your supervisor, Delilah. As the sole point of contact for your character, the relationship you build (or break) with Delilah is integral to your own fate. The wilds of Wyoming aren't exactly forgiving and there are plenty of dangerous predicaments you can get into out there. Dialogue progresses in much the same way a your standard adventure game but the emphasis put on it lends a freshness to an otherwise old system. The art style is a gorgeous mix of realism and illustration. I'd liken it to The Long Dark with a few lessons in color and composition from Samurai Jack. The backgrounds are stunningly beautiful, so much so that I've had an early screenshot in my wallpaper rotation for a while. Though I've not played it yet myself, IGN has a great look at about 17 minutes of gameplay captured just a few months ago. 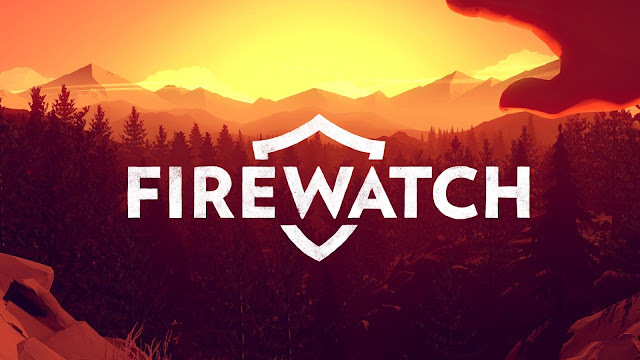 Though we still know very little about the game overall, I'm very interested in Firewatch and look forward to the day I can get my hands on it.